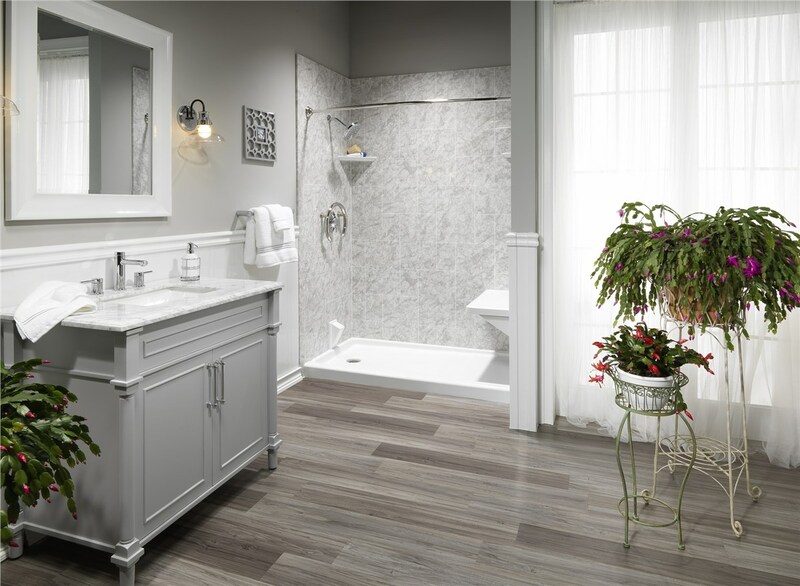 If you've been dreaming about a beautiful, new bathroom—without breaking the budget—count on the experts at Luxury Bath for all your bath remodeling needs! 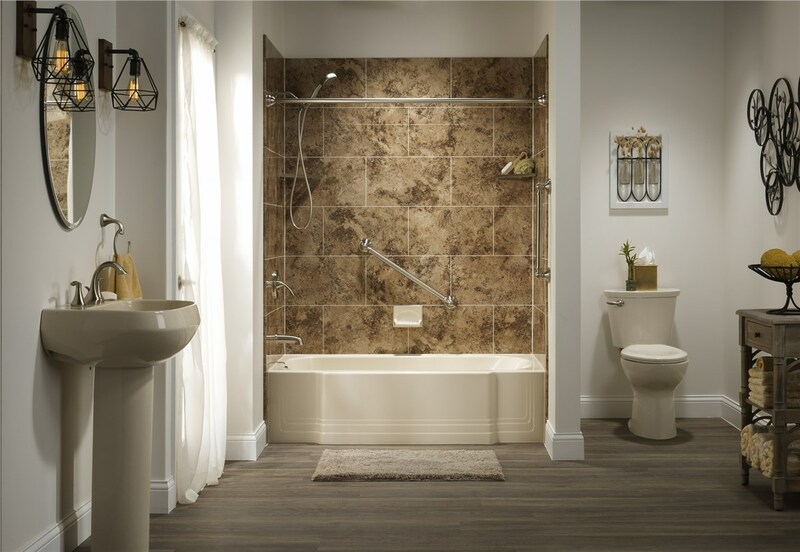 For more than 25 years, we have been helping thousands of people upgrade their bathrooms from outdated, decrepit and moldy to beautiful, healthy bathrooms that can be enjoyed for years to come. 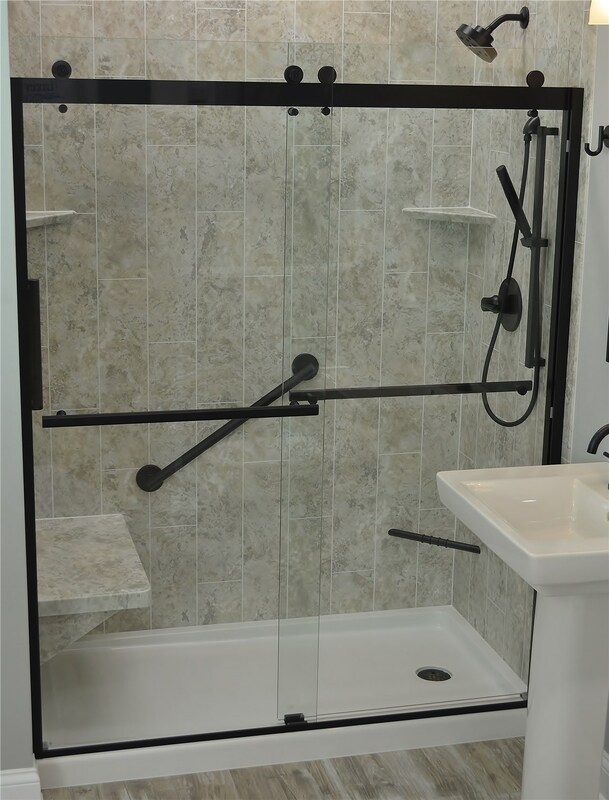 We offer a wide selection of solutions for your bathroom remodeling needs including; acrylic bath and shower systems, replacement bathtubs, wall surrounds, tub liners and more. 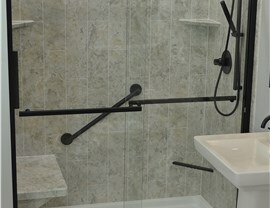 Plus, we offer cutting edge accessibility options, like tub-to-shower conversions, walk-in tubs, and barrier-free showers. No matter what type of bath remodel you're considering, our professionals can install your new bath system in as little as one day! 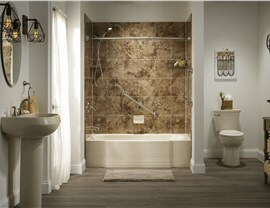 Installing a custom fitted acrylic bathtub is not only aesthetically beautiful, but is non- porous and easy to clean. All custom fitted bathtubs are installed and sealed with Lux-Bond®, the exclusive adhesive system that hardens like a rock for a permanent fit. Additionally, the acrylic material is guaranteed for the lifetime of the product not to dent, crack, or chip under normal use. As an added benefit, you can rest assured that all of our acrylic materials are infused with Microban® protection, a Luxury Bath exclusive. This revolutionary technology actively inhibits mold, mildew and other microbes from reproducing and keeps your tub, surround and other accessories from Luxury Bath clean and healthy, every single day. 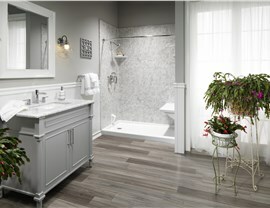 Don't wait to get started on your next bath remodeling project—call Luxury Bath! 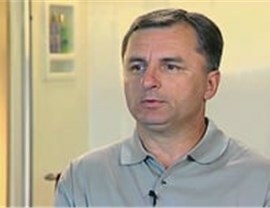 One of our friendly, helpful representatives can provide you with more information about our products and schedule your FREE, in-home bathroom remodeling estimate with one of our experienced team members. Get in touch today!